The general public is welcome to attend any CSA event and to join the Association! 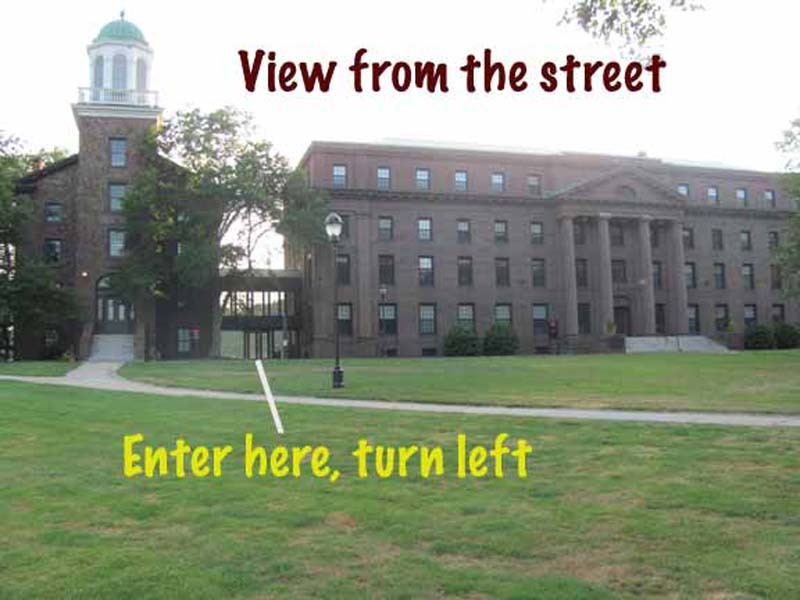 If you need additional information or directions, e-mail us. Success comes from opportunity, and opportunity comes from involvement -- We have been helping writers and artists achieve their goals since 1979 ! Get Involved in CSA! Get your songs ready for pitching as we take them with us to conferences. Bring your song on CD or with a bluetooth speaker, do it live with 10 copies of types lyric sheets, and getdetailed constructive feedback. This program is FREE for members, $5 for non-members. Check out the SSCapeMay web site if you want a performing slot. Over 150 acts and artists will be selected from submissions to showcase at and participate in the daytime conference and showcase at night. The annual sunger songwriter weekend in Cape May will feature music busine panels, clinics, workshops, keynotes and mentoring sessions at Congress Hall and Harrison Conference Center from 11am to 5pm and musical keynotes easy day at 5:15pm in the Grand Ballroom of Congress Hall. Interested acts and artists are encouraged to submit and all selected acts will receive Free Conference Registrations for their entire team to participate and network with over 100 music industry professionals that weekend in Cape May, New Jersey. CSA Monthly Songwriter Showcas & Open Mice series. 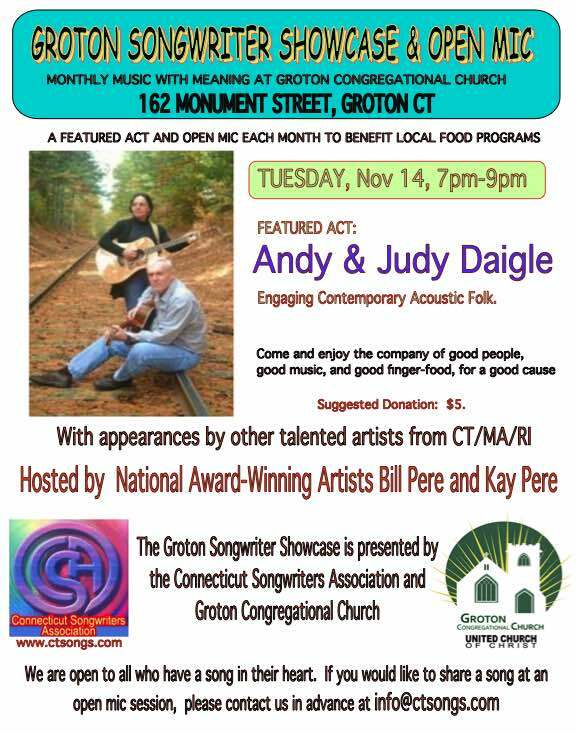 7-9pm, Groton Congregational Church, 162 Monument St, Groton. See why have folks come thousands of miles, from across the US and Canada to participate! Presented all across the U.S. -- Now brought to your doorstep! A weekend of total immersion into the world of songwriting, in a beautiful rustic setting that is conducive to learning and creating new things. You will get College Level Master Classes in all aspects of the craft and business of songwriting, based on the groundbreaking concepts of Songcrafters' Coloring Book: The Essential Guide to Effective and Successful Songwriting". Guaranteed to give you practical and actionable tools and techniques for helping you optimize your songs and take your writing to a new level. This concentrated immersion in the songcrafting process will provide more information in 3 days than you would get in several years of monthly CSA meetings. Good home cooked meals and 2 nights of comfortable lodging are all included, so you do not have to think about anything but your music. 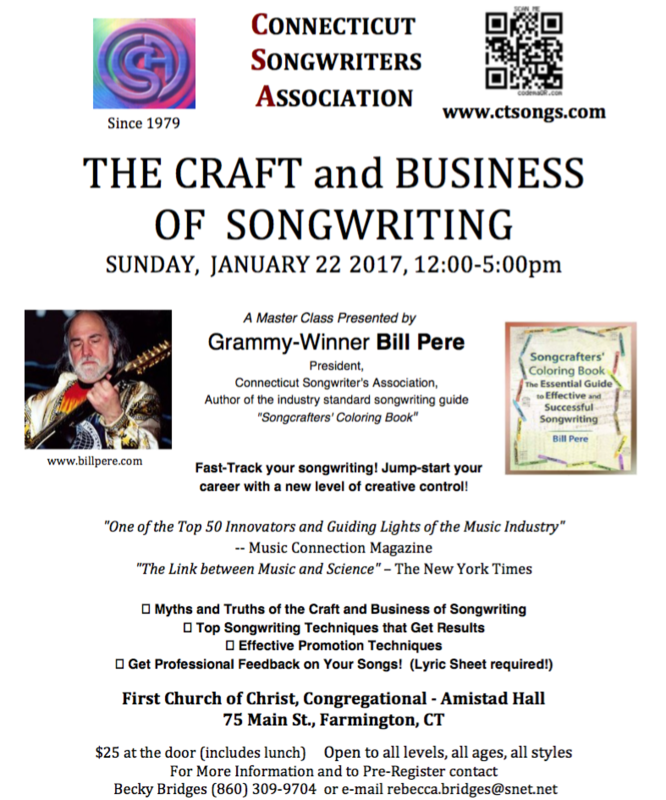 Conducted by Grammy-winner and author of "Songcrafters' Coloring Book", Bill Pere, named one of the Top 50 Innovators and Guiding Lights of the Music Industry" by Music Connection Magazine. and Kay Pere, nationally known vocal and creativity coach. The information and insight presented here was developed exclusively by Bill in more than 30 years of working with thousands of songwriters, including many of the top names in the industry and is not available anywhere else. You will not find more down-to-earth, practical, and well-researched information under any one roof. These innovative techniques, presented and acclaimed at workshops coast to coast, are now brought together in one intensive weekend. SIGN UP NOW FOR THE 2018 CSA Weekend Songwriting Retreat! April 5-7 2018. Three days with just your music. Meals and lodging provided. Get 35 years' worth of music business knowledge in one weekend! At a low enough cost to be considered one of the best values in the industry! See why folks have come from across the U.S. and Canada and have called this weekend "Life-Changing" "Transformative", and "Inspiring"! the March Singer-Songwriter Conference at Cape May NJ. with 12 multiple copies of typed lyric sheets, and receive valuable constructive feedback. This program is FREE to members, $5 for non-members. 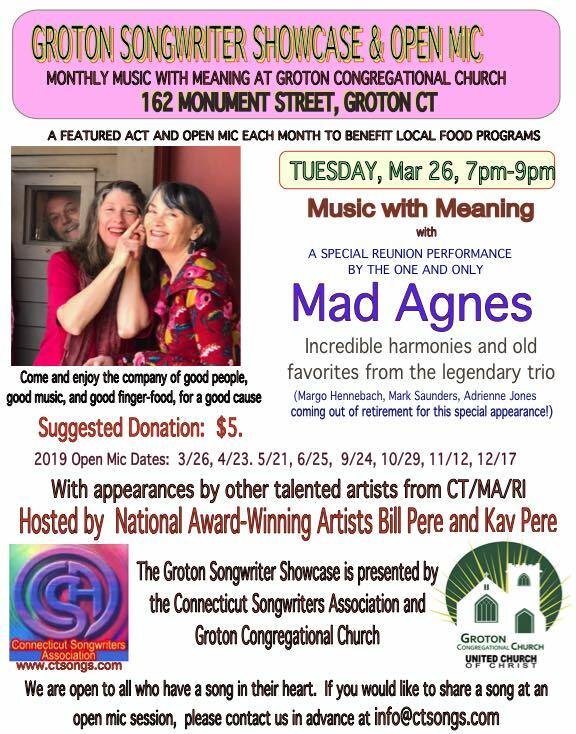 March 14, 7:15pm, at the Mystic Morgan House, 121 High St, Mystic. We will have an in-depth song development/critique session to help you get your songs ready for upcoming pitching sessions. Later in March, we will be presenting some of the best CSA songs to industry pros at the annual Singer-Songwriter Conference in Cape May, NJ. CSA will be there on March 23-24 presenting workshops, mentoring, and pitching songs. Bring a song on CD, mp3, or do it live, with multiple copies of types lyric sheets, and get valuable constructive feedback. CSA critique sessions are a great way to help make your songs be the best they can be. We’ll also start the meeting with a look at some of the industry updates in copyrights and royalties. April 6-8 2018. Three days with just your music. Meals and lodging provided. Get 35 years' worth of CSA knowledge in one weekend! At a low enough cost to be considered one of the best values in the industry! We will have an in-depth song development/critique session to help you get your songs ready for upcoming pitching sessions. Bring a song on CD, mp3, or do it live, with multiple copies of types lyric sheets, and get valuable constructive feedback. CSA critique sessions are a great way to help make your songs be the best they can be. We’ll also start the meeting with a look at some industry updates and crafting techniques. Ample free parking is available in the back of the building. The ANNUAL HOUSE PARTY AND JAM ! Contest Entry procedures will be posted soon. -CDs - Downloads - Streaming - Video – What to do? And much more information that you rarely get elsewhere! $ 25 PRE_REGISTRATIONS GET A FREE CSA COMPILATION CD! Free lunch is included. and receive in-depth constructive feedback. SIGN UP NOW FOR THE 2016 CSA Weekend Songwriting Retreat! April 7-9 2017. Three days with just your music. Meals and lodging provided. What are the best uses of your time and resources in promoting yourself and your songs using Internet tools? -- Bandcamp ? Reverbnation? Sonic Bids? Dani runs Dani Felt Consulting, with clientsand contacts in all aspects of the music business. SATURDAY JULY 29, 2-5pm. 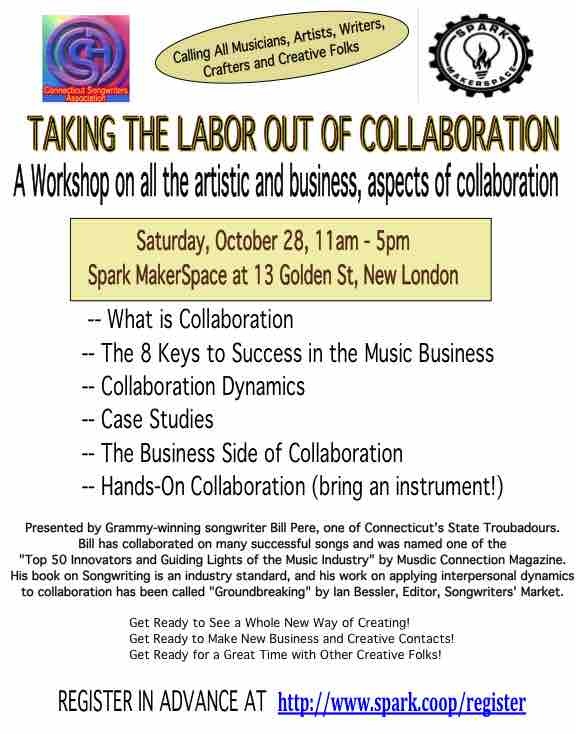 CSA will be hosting a Song Share and free music business consultations at the Tiny Town Festival sponsored by Spark MakerSpace in New London. The festival is free, and runs Fri-Sat July 28-29 on Golden Street in New London. Come enjoy the festival. Bring an acoustic instrument, songs, and visit our CSA tent. Bring a friend. Keyboard provided. 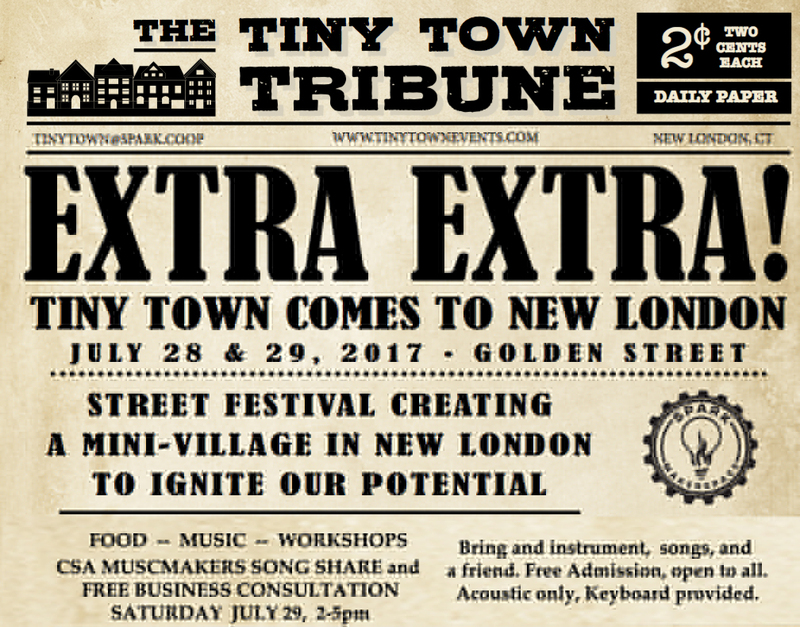 Tiny Town is a two-day interactive street festival designed to have fun, test new ideas, and introduce education that inspires intentional living and ignites the potential of Southeastern Connecticut. Streets will be closed off outside of Spark Makerspace on Friday July 28th starting at 4pm and through the day on Saturday July 29th to create a mini village in the city through the placement of tiny houses, painted streetscapes, and programming. CSA Launches a new monthly Songwriter Showcas & Open Mice series. 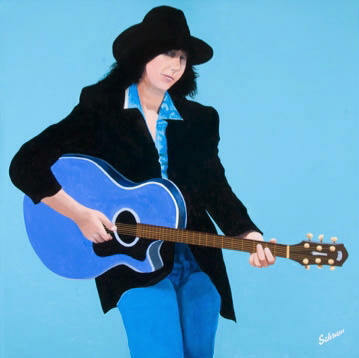 Janey Street is a signed recording artist with songs on Billboard charts, and several film/TV placements. Janey has worked with many of the top names in the industry. Janey will listen to your songs, provide feedback, and forward promising songs to her industry contacts. Time is limited, and songs will be critiqued in the order that registration is received. Sign up in advance. OCT 11 -- Janey will be doing one-on-one consultations by appointmentin New Haven. COME AND LEARN- BRING A FRIEND! The program is $25 which includes lunch, and for CSA members, a FREE copy of the newest, compilation CD, to be released January 2016. -- Who is responsible for what? -- When do you pay for what? -- What should you have in-hand when you are "done"? --What if you want to do some work in another studio? -- Who gets credit for what and who owns what? -- How do you resolve disputes? -- How do you AVOID disputes? -- How do you get the right people to do the right tasks? -- How do you detect a very common scam? Among the most difficult things for creative folks to deal with are the many nuances of running a business based on creativity and intellectual property. Royalty streams, publishing and taxes are always near the top of the list. Many writers and artists never get all the income or tax deductions that they are entitled to because they don't know what questions to ask or they just don't want to deal with the complexities. Using an accountant doesn’t always help because they can only work with the information you provide. If you don't provide some key points, you don't get all your royalties or you lose out on key tax deductions. Do you know the primary royalty streams and where they come from and how they are calculated? Do you know the one key word in a publishing agreement that can make a difference of thousands of dollars? Do you know the biggest tax misconception that is even perpetuated by tax professionals? This workshop will address the essential questions and make it all understandable so that you have a clear path ahead to maximize income while minimizing taxes. from across the US and Canada to participate! 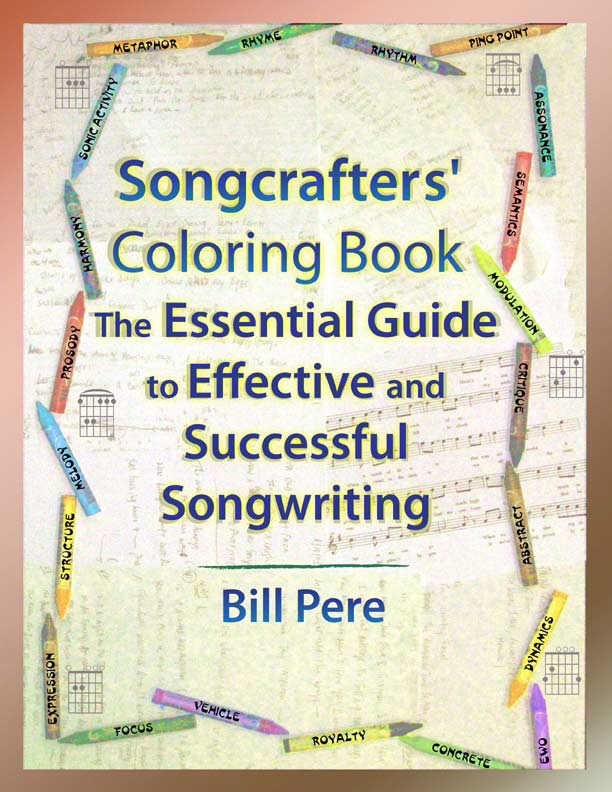 Conducted by Grammy-winner and author of "Songcrafters' Coloring Book", Bill Pere, named one of the Top 50 Innovators and Guiding Lights of the Music Industry" by Music Connection Magazine. April 8-10 2016. Three days with just your music. Meals and lodging provided. Many great songs are written by two or more people working together. The process can be very rewarding or it can be a disaster. So much depends on what you know about people, creative process, and also about the business aspects of jointly owning a piece of intellectual property. There are many bernefits to be had, and many pitfalls to be avoided. We'll take a look at the many aspects of collaboration, hear some case studies, and then, we'll write! It is amazing what can be written in an hour with people that you've not worked with before. The meeting is FREE to members, $5 for non-members. Deb Russell, of "The Artist's Edge"
An amazing opportunity for songwriters and performing artists. 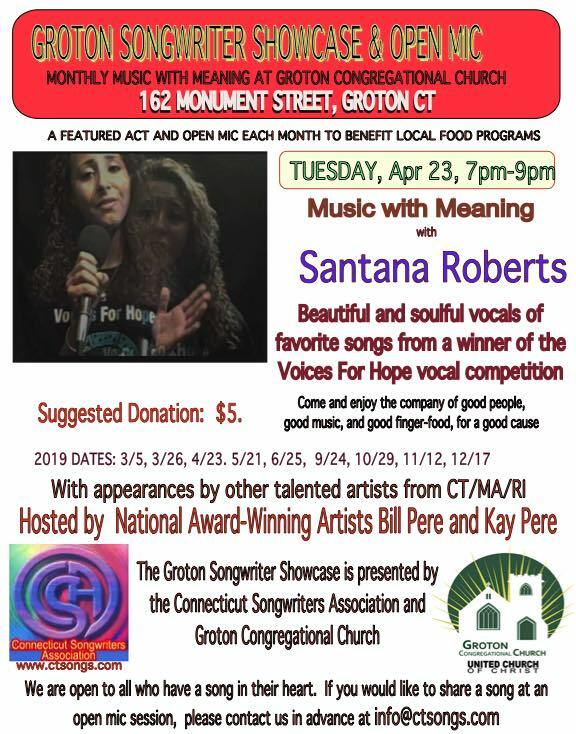 COME HEAR OUR CONTEST WINNERS AND SOME GREAT ARTISTS WITH SONGS TO RAISE ENVIRONMENTAL AWARENESS. The Ins and Outs of Song Contests. Learn about the differnt kinds of song contest. Which, if any, are right for you? How do to maximize your chances? CSA President Bill Pere has run and organized and judged many national and international contests and has lots of inside info to share. COME AND LEARN. BRING A FRIEND. Critique Session to follow. Bring a song to present. Music/Workshops all day from 12-6 on 3 stages. There are well-crafted songs that are not hits, and there are not-so-well-crafted songs that do become hits. "Craft" and "Popularity" are separate song parameters. not necessarily tied together. in-depth critique to provide you with constructive feedback. To have a song critiqued, bring multiple lyric sheets, and a song on CD or mp3 device, or do it live. CSA criotiques are considered among the best in the industry. We'll see you there, and bring a friend! This meeting is FREE for members, $5 for non-members. See you there, and bring a friend! ALSO IN MARCH, Fri-Sat March 27-28 at Congress Hall, Cape May, NJ: The Annual Singer-Songwriter Conference (SS Cape May). Two days of great workshops and panels with current music professionals. CSA will be there with 3 workshops and a mentoring station. SIGN UP NOW FOR THE 2015 CSA Weekend Songwriting Retreat! April 10-12 2015. Three days with just your music. Meals and lodging provided. LIMITED TO 12 SLO -- DON'T GET LEFT BEHIND! -- JUST A FEW SLOTS LEFT ! and how it can help you get airplay. This meeting is $10 for members, $15 for non-members. 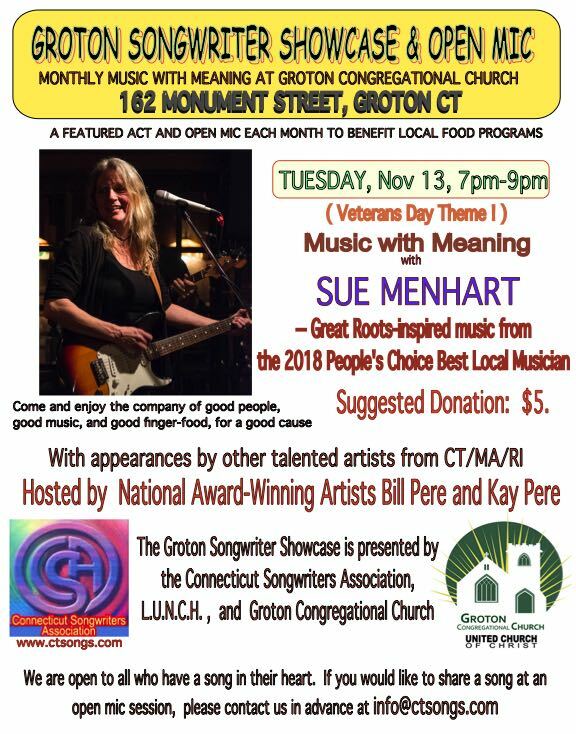 The Connecticut Songwriters Association Presents a Creative Process Workshop for writers and artists. formerly of the band "Amber Blues"
After many years in the music business as a performer, writer, and producer, I found my focus shifting into a more active role as a Musically Oriented Energy Worker, Creative Life-Coach, and Healer. My most recent endeavor has been the development of "Moon Magick, Manifestation, and Journaling for Abundance. ", a workshop focused on integrating many different practices into a unified program that strives to create a positive life-perspective, boost productivity and unlock creative stagnancy for participants. " The workshop combines creative-writing, stimulating prompts and journaling models with lunar calendars, astrology, and metaphysical energy work, to cultivate practices that nurture a creative, sustainable, and abundant life. • Anyone who is seeking an outlet for expression, a source of inspiration, and/or exploration into the world of Metaphysical Arts. Attendees may present a song on CD or live, with multiple copies of types lyric sheets, and receive constructive feedback. This program is $5 for CSA members, $10 for non-members. 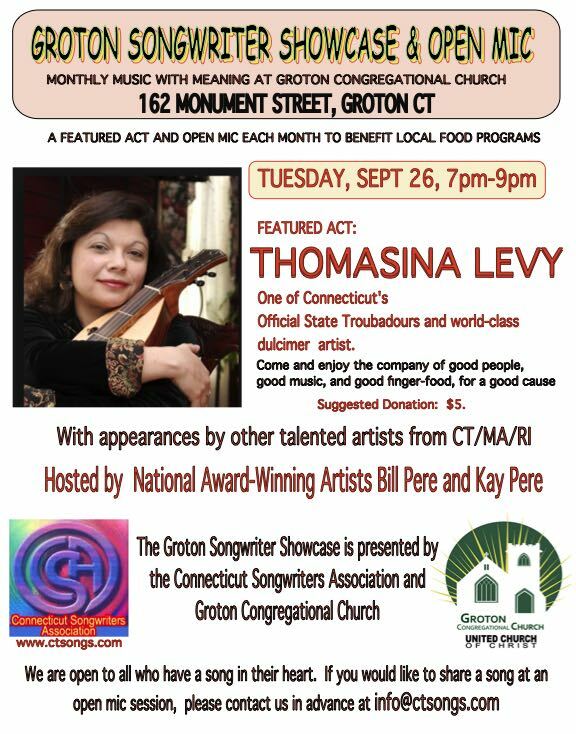 AUGUST 20: The Craft and Business of Songwriting at the Music Bureau, Salem CT.
CSA presents a Song Development Workshop In-depth, constructive feedback is invaluable for finding points in your song that can be tweaked for improvement. A true Level-3 critique can uncover strengths and weaknesses you might never have been aware of. Come and bring a song for in-depth critique and receive valuable constructive feedback from supportive folks. Present your song live or on CD, and please bring multiple copies of typed lyric sheets. This program is free to members, $5 for non- members. See you there, and bring a friend! The CSA October meeting will be held Wed, Oct 7, 7:15pm at the Mystic Morgan House. CSA presents a Rhythm Workshop. Of all the many aspects of music and songwriting, rhythm mastery is the one thing that most writers and musicians find elusive, both for prosody and for recording. What is the difference between 3/4 time and 6/8? What are the 5 primary ways to split 4/4 time? What is the relationship of musical syncopation to lyrical prosody? How can you make a drum machine sound "real"? What do swing and shuffle really mean? These are just a few of the key questions that can make or break a song or a recording. The program is $5 for members, $10 for non-members. At last month's Rhythm Workshop, we looked at how to identify different rhythms that you hear in a song – but that leaves one important question – How do you translate what you hear into a playable rhythm on guitar or keyboard? How do you actually PLAY 6/8 so that it doesn't sound like 3/4? How do you play 7/4 or 9/8 or swing rhythms at any tempo and still maintain expressive control? How do you deal with syncopated rhythms and add dynamic and timbre variations that add 'zing' to your song? Most people can hear and understand rhythms – but actually playing them expressively, integrating dynamics and timbre, often poses a challenge. The program is $5 for members, $10 for non-members. "8 Keys to Success in the Music Business"
This groundbreaking workshop has been presented at conferences across the U.S.
which must be brought to bear. gives you an immeasurable advantage in negotiation, selling, collaborating, and working as part of a group. Why do bands break up ? What's really happening when there are creative differences?" Why are some collaborations successful while others fail ? What makes any relationship flourish ? What are the key words you need to get someone to say "yes" to your proposal ? What marketing tactics will work best for your target audience? What kind of agent can best represent you ? How you find the right producer ? Why is a person drawn to a particular style of music ? Why do some metaphors resonate with you, while others leave you cold ? Can successful couples be successful business and artistic partners ? What are your strengths and gaps as a Writer/ Artist ? "Tax Strategies For Songwriters and Artists to Maximize Your Benefits"
Being a singer-songwriter gives you a tremendous number of tax breaks that can slash your taxes and increase your refund. Many folks are just not aware of how to use these tax breaks. There are huge legitimate deductions you can take if you know how, even if you never make a penny of income from your music. You can�t rely on an accountant to do it for you because any tax preparer can only work with the information you give them. If you don't know what they need and the format in which they need it, you could be leaving significant amounts of money on the table. Come and learn how to put some extra dollars in your pocket by learning some simple facts about what it means to be a songwriter or artist. Bring a song on CD or do it live, with multiple lyric sheets, and receive constructive feedback. Coming up with great lyrics is difficult enough, but supporting those lyrics with melodies and chord progressions that are fresh yet accessible is also a great challenge. It�s too easy to wind up using the same phrases and progressions over and over again, or finding it difficult to effectively re-shape scales and keys to give you exciting variations in your music. �. Enter TUNESPARKER. Tunesparker is a software program developed by Jon Gammell that does exactly that � show you a new world of options when you are trying to set chords to a melody or a melody to chords. Its ability to show you the full range of scales and chords that can work with your current song is an amazing asset in creating that magical balance of the familiar and the unexpected that makes for memorable music. Jon will be on hand to present and demonstrate the software, and to provide a special offer for CSA members. APRIL 4-6 2014 -- CSA SONGWRITING RETREAT! SIGN UP NOW FOR THE 2014 CSA Weekend Songwriting Retreat! April 4-6 2014. Three days with just your music. Meals and lodging provided. Get several years' worth of CSA knowledge in one weekend! At a low enough cost to be considered one of the best values in the industry! LIMITED TO 12 SLOTS -- DON'T GET LEFT BEHIND! It's time to start getting your songs in shape for the September Pro-Workshop when we will be joined by a top industry pro from NYC. .
Bring your works in progress or any song you wish to the June meeting and get in-depth constructive feedback. This can help you decide what to present at the September Pro-Workshop. $5 for non-members. See you there, and bring a friend! 15 copies of typed lyric sheets and get valuable constructive feedback on your songs. We will have time to do a thorough discussion of each song. Songs may be presented live or on CD. If you only have an mp3 version on a mobile device, bring a mini-patch cable. CSA is known for providing among the best critiques in the industry! CSA is invited for a performance and networking event: The 11th Annual House Party and Jam in Wethersfield. This is an amazing venue and creative opportunity for all. Enclosed sound stage, and a full sound system and backline is provided. Great food, fun, and the company of other creative folks. Come share your songs and let other musicians find parts in your songs that you never knew existed – or bring your lead sheets so that others can play along with you. CSA FALL PRO WORKSHOP with top hit songwriter Alex Forbes. Come and learn, and present your songs to a pro. With several national Billboard hits and many film/TV placements, Alex is one of the most successful contemporary songwriters, having worked with some of the biggest artists and producers in the business. Alex will share her business and creative insights, and listen to your songs to provide valuable feedback -- and maybe pass along songs with potential to her contacts. Pre-register now as space is limited. The workshop is $20 for members, $25 for non-members. Register with Paypal below or by mail: (CSA PO Box 511, Mystic CT 06355). There are many notions about the	craft	and	business	of	songwriting	which	are	completley false, yet thay persist for years and years and are passed along even among industry pros as fact and truth. From song structure to copyright to chord names to production, these misconceptions can take you down paths that cause confusion and miscommunication, and can drain your paocketbook. Come and learn. This meeting is free to members, $5 for non-members. Another opportunity to learn from and be heard by the pros! Joining us from Philadelphia is producer and composer Dr. Lou DeLise. Dr. Lou is one of those rare people who has done almost everything in the music business. With classical training from Julliard and a PhD in music arts and composition, Lou has worked with many music icons in the realms of jazz, pop, and classical music including Luciano Pavarotti, Mel Torme, Beverly Sills, Dianna Ross, Lou Rawls, Henry Mancini, Dave Brubeck, George Shearing, Mercer Ellington and many more. He has been an arranger and producer for major labels and has produced Patti LaBelle, among many others. Today, Lou works as a composer of concert music, arranges and conducts for pop records, composes for film and teaches at the Temple University Boyer College of Music and Dance. His recording credits include a number one chart album for Patti LaBelle, and many other pop chart records. His theme for the television series, PrimeTime ('It's the PrimeTime of My Life') is recognized as a Philadelphia classic. It is truly a rare opportunity to learn from someone who has such a broad background in the craft and business of music, successfully spanning styles, artists, and decades. Lou will speak about several aspects of the craft and business of music, answering your questions, and he will critique your songs from a perspective that you rarely get elsewhere. learn. This meeting is $5 for members, $10 for non-members. CSA Community Outreach through L.U.N.C.H. 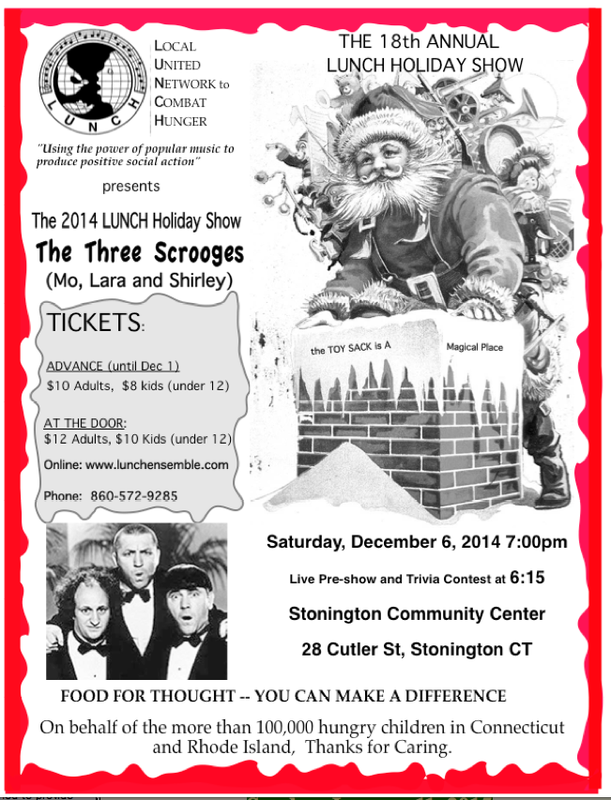 presents the 18th ANNUAL LUNCH HOLIDAY SHOW"
"The Three Scooges!" 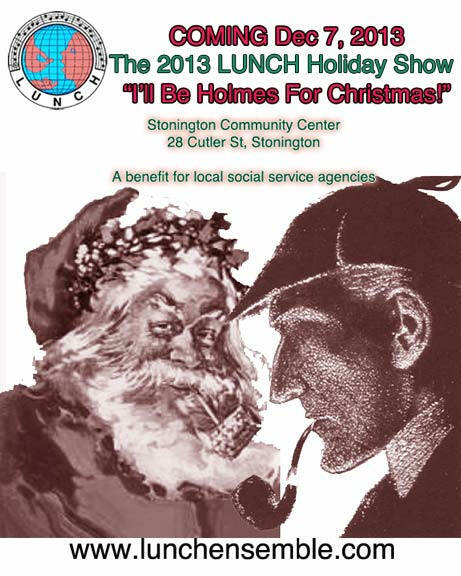 to benefit local social services. Since 1989, more than 60 CSA artists have participated in these community outreach events. 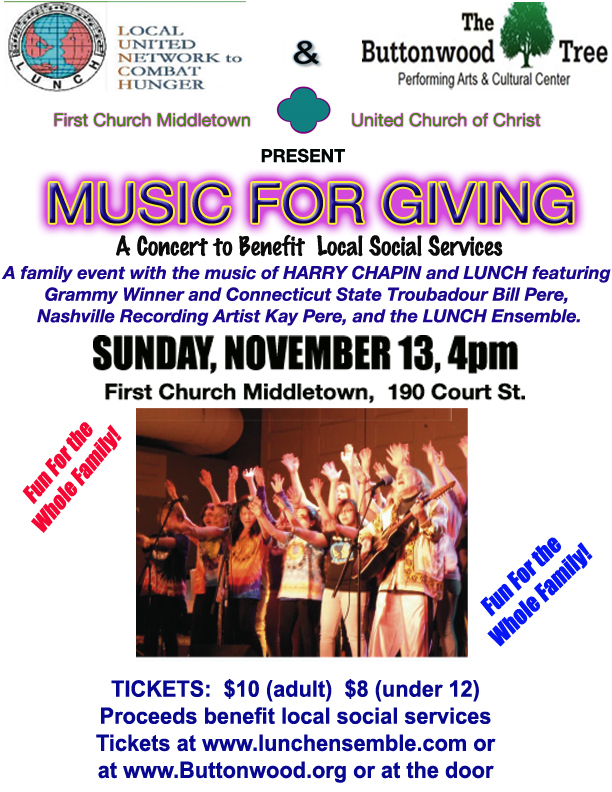 Come support using the Power of Popular Music to Produce Positive Social Action. Tired of the same old chords? Can't decide where to take that melody or how to get in and out of the bridge? MUSIC THEORY TIPS AND TRICKS FOR CREATING FRESH AND MEMORABLE MUSIC FOR YOUR SONGS. Multi-award winning songwriter and national presenter Bill Pere is formally trained in music theory, arranging and orchestration. His arrangements and productions for clients receive airplay in many markets. Come and get some actionable tips that you can use for your own writing to ,make it more competitive in today's tough music markets. There is a big world beyond the realm of majors, minors and I-IV-V.
More than any other issue, folks come to me with questions and problems about working with a producer. Because it is the interface between the creative and the business sides of the life of a song, it is an often misunderstood process, both creatively and commercially, causing unnecessary frustration. A little knowledge of what to expect and what not to expect can go a long way toward making it the positive experience it should be, saving you lots of money and headaches. -- What IS a producer? -- What is their role and what your role? -- Who is responsible and accountable for what? -- Who gets credit for what? -- What are reasonable costs ? -- What do you walk away with when all is done? and temperament for your project? Come find out the answers to these and other essential questions. Bring a song for constructive critique, including multiple copies of typed lyric sheet. WHY IS IT A HIT (or not?). The popularity of a song often has little to do with whether or not it is a well-written song. co-hosts with Grammy Winner Bill Pere to analyze existing commercial songs to look at why they work -- or not. This meeting is free to members, $10 for non-members. multiple copies of typed lyric sheets. Space is limited. Advance registration is recommended (see below) Pre-registered folks get priority for critiques, as time is limited. Dr. Lou Delise is one of those rare people who has done almost everything in the music business. With classical training from Julliard and a PhD in music arts and composition, Lou has worked with many music icons in the realms of jazz, pop, and classical music including Luciano Pavarotti, Mel Torm�, Beverly Sills, Dianna Ross, Lou Rawls, Henry Mancini, Dave Brubeck, George Shearing, Mercer Ellington and many more. He has been an arranger and producer for major labels and has produced Patti LaBelle, among many others. Today, Lou works as a composer of concert music, arranges and conducts for pop records, composes for film and teaches at the Temple University Boyer College of Music and Dance. His recording credits include a number one chart album for Patti LaBelle, and many other pop chart records. His theme for the television series, PrimeTime (�It�s the PrimeTime of My Life�) is recognized as a Philadelphia classic. 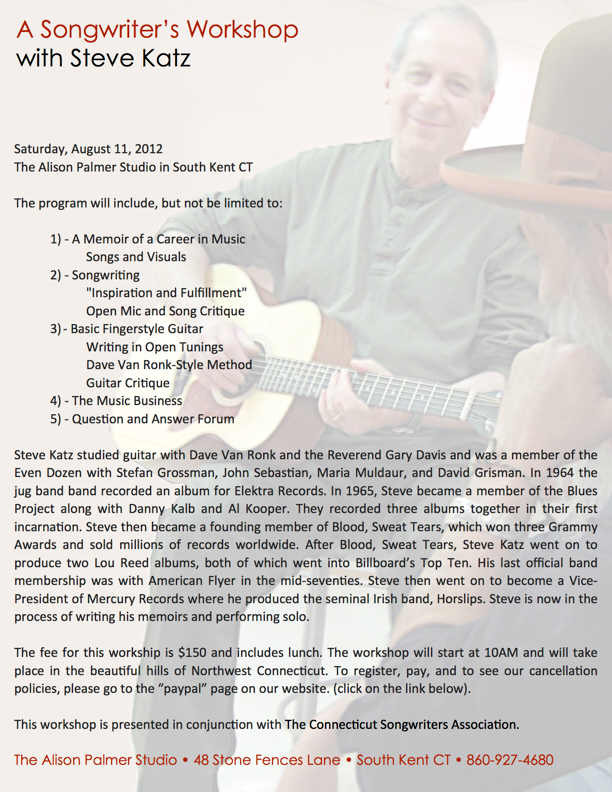 You will likely never have another opportunity to learn from someone who has such a broad background in the craft and business of music, successfully spanning styles, artists, and decades.Lou will speak about several aspects of the craft and business of music, answering your questions, and he will critique your songs from a perspective that you rarely get elsewhere. 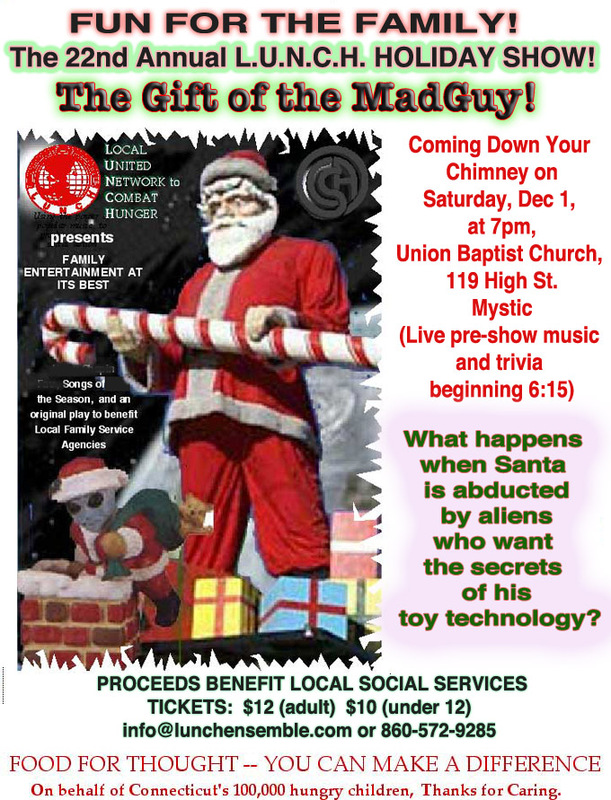 Register online with PayPal below, or send check to: CSA, PO Box 511, Mystic CT 06355. The workshop is $25 for members of CSA, RISA, IMC, Indiegrrl, Songsalive. $30 for non-members. Slots are filling up! Don't be left out! APRIL 12-14 -- CSA SONGWRITING RETREAT! You will get a College Level Master Classes in all aspects of the craft and business of songwriting, based on the groundbreaking concepts of "Songcrafters' Coloring Book: The Essential Guide to Effective and Successful Songwriting". Guaranteed to give you practical and actionable tools and techniques for helping you optimize your songs and take your writing to a new level. This concentrated immersion in the songcrafting process will provide more information in 2 days than you would get in several years of monthly CSA meetings. The information and insight presented here was developed exclusively by Bill in more than 30 years of working with thousands of songwriters, including many of the top names in the industry and is not available anywhere else. You will not find more down-to-earth, practical, and well-researched information under any one roof. Many of these techniques have never been presented before, anywhere. SIGN UP NOW FOR THE 2013 CSA Weekend Songwriting Retreat! April 12-14 2013. Three days with just your music. Meals and lodging provided. Get several years' worth of CSA knowledge in one weekend! See why folks have come from across the U.S. and have called this weekend "Life-Changing" and "Transformative". ONLY A FEW SLOTS LEFT -- DON'T GET LEFT BEHIND! Presented nationally - now at your doorstep. What makes collaboration successful and what turns it into a nightmare? Learn the key areas in the creative and business aspects of collaboration. Do some hands-on collaboration with new folks. Some amazing award-winning songs have come out of CSA collaborations. The music business is one of the most collaborative industries you will ever find. Writers with writers, writers with artists, artists with producers, producers with session players, and on and on. Collaboration works only when the parties involved understand both, the human dynamics and the business aspects of the process. At this popular annual CSA workshop, you'll get an overview of both of these dimensions, hear some case studies, and most importantly, you'll get to do hands-on collaborative writing with someone you've never worked with before. The results from these types of exercises over the years have yielded some amazing and marketable songs that otherwise never would have come into existence. Also, you'll learn how to avoid the major problems, both business and creative, that arise when working with a collaborator at any stage of your project. This program is $5 for members, $10 for non-members. Come and give your career a boost. Bring a friend! An in-depth all-critique session. Bring your works-in- progress with 15 copies of typed lyric sheets and get valuable constructive feedback on your songs. We will have time to do a thorough discussion of each song. Songs may be presented live or on CD. If you only have an mp3 version on a mobile device, bring a mini-patch cable. CSA is known for providing among the best critiques in the industry! Sunday, June 23 1pm to 5pm -- CSA Summer Picnic and Showcase. J.B. Williams Park, Glastonbury. Bring food for the grill, a dish to share, and a non-alcoholic beverage. Performance slots all day Rain or Shine. Sound system provided. 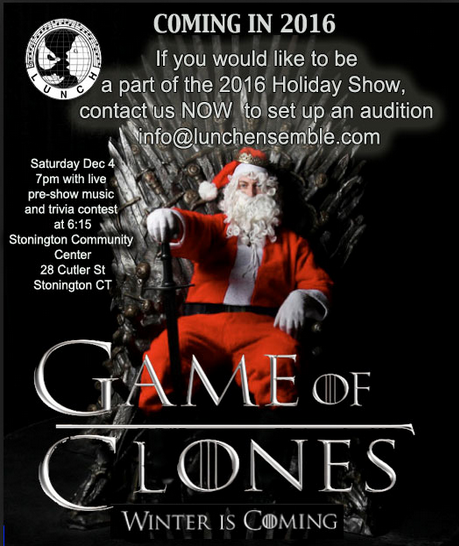 To sign up for a performance slot, contact Don Donegan (ddcsa@aol.com) Meet new folks and old friends, and enjoy the day in the company of creative people. 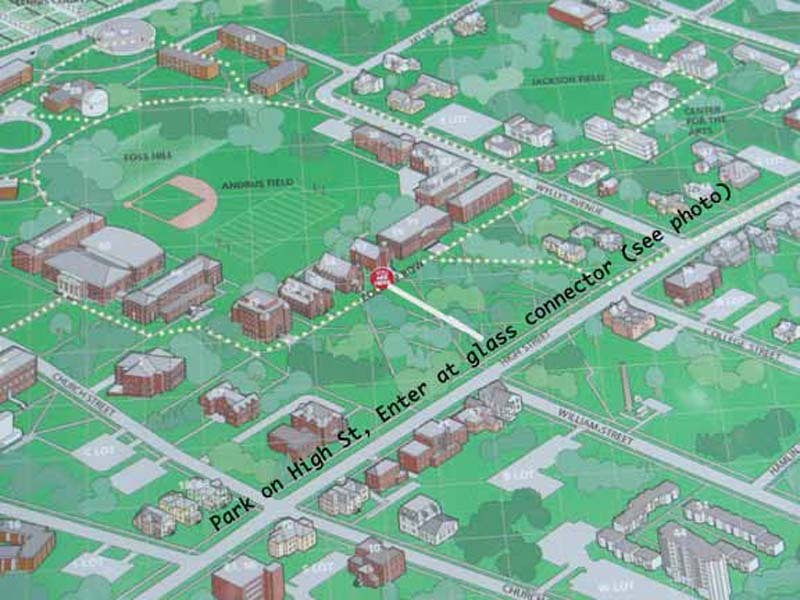 DIRECTIONS: From New London/Norwich: Rt 2 West to Exit 8 in Glastonbury (Hebron Ave). Right off the ramp, then immediate right again at the light onto Hebron Ave. Go 2 miles and turn right onto Wickham Rd. Go to end of Wickham and turn left at the T-intersection onto Neipsic Rd. The park is 1 block on the left. From New Haven : I-91 North to Exit 25. Cross the CT River on Rt 3 and bear right on Rt 2 toward Norwich. Take Exit 9 off Rt 2, go left on Neipsic Rd under Rt 2. Go 3/4 mile and the park is on the left. From Hartford area: I-91 South to Exit 25 (Glastonbury) Cross the CT River on Rt 3 and bear right on Rt 2 toward Norwich. Take Exit 9 off Rt 2, go left on Neipsic Rd under Rt 2. Go 3/4 mile and the park is on the left. Parametric Songwriting Analysis: How to determine if your songs are really "Done". Sept 21 Pro Workshop (see below), or if you just want to know more about how to accurately evaluate the state of your song, bring your work to this song development workshop for constructive analysis. Learn how to ask the key questions that will tell you if your song is working the way you want it to, or what you need to do to fix it. This is a great opportunity to get some feedback before presenting to a top Pro at the Sept 21 workshop. This program is FREE to members and to non-members. For Critique: Bring your song with 15 copies of typed lyric sheets and get valuable constructive feedback. We will have time to do a thorough discussion of each song. Songs may be presented live or on CD. If you only have an mp3 version on a mobile device, bring a mini-patch cable. CSA is known for providing among the best critiques in the industry! Success comes from opportunity. Opportunity comes from involvement. Get involved! Based in the heart of NYC, Emiko is a three-time featured performer of the Songwriters' Hall of Fame New Writers Showcases who has graced the pages of Billboard Magazine, FM Sound, Music Connection, and other mainstream music publications. As an award winning songwriter her credits include major publishing houses and placements such as SONY/ATV, Extreme Music Group, HGTV, E! Entertainment, VH1, MTV, A&E, and CBS Television, just to name a few. She is also in writing and production partnerships with Liberty DeVitto (best known as the drummer for Billy Joel), Tommy Faragher (Grammy nominated writer and producer, most recently known for his musical productions for the hit FOX television show "Glee") and other notable writers in the European and UK territories. Read EMIKO's full extensive bio in the Newsletter. 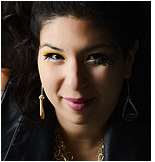 Emiko will be on hand to listen to your songs, and to share the secrets of her great success as a writer and artist. You will have an incredible opportunity to learn directly from one of today's fastest rising stars. NEXT CSA FALL PRO WORKSHOP! This is a topic that is essential top any songwriter and artist seeking to answer that universal question: "I have songs -- now what?" Our special guest is April Heavens-Woodcock of the major PR firm "Touching Clients". April will give a presentation on what makes a successful e-marketing campaign, and she will discuss useful tools like Constant Contact for managing your online promotion strategy. Bring a song with lyric sheets for constructive feedback. This meeting is $5 for members, $10 for non-members. (In case of snow, check the website for meeting status). Any songwriter or performing artist can give themselves that choice. Non-Profit Does Not mean No-profit! Bill Pere is a Grammy-nominated artist who has raised more than $1,000,000 through benefit concert events, and was just named 2011 Outstanding Volunteer Fundraiser of the Year by the AFP. Come and Learn. This meeting is $5 to members, $10 for non-members. See you there, and bring a friend. Dealing with Prosody, Principle of Contrastive Stress, and Phonetic activity. How to identify it, and how to fix it! It will make your songs instantly better than most of the competition. APRIL 13-15: CSA SONGWRITING RETREAT! APRIL 13-15 -- CSA SONGWRITING RETREAT! Songcrafters' Coloring Book: The Essential Guide to Effective and Successful Songwriting". Guaranteed to give you practical and actionable tools and techniques for helping you optimize your songs and take your writing to a new level. This concentrated immersion in the songcrafting process will provide more information in 2 days than you would get in several years of monthly CSA meetings. SIGN UP NOW FOR THE 2012 CSA Weekend Songwriting Retreat! April 13-15 2012. Three days with just your music. Meals and lodging provided. Saturday MAY 12 - The Annual CSA Collaboration Workshop. From Boston, Producer and Development Coordinator Jordan Tishler of Digital Bear Entertainment will be on hand to listen to your songs. Jordan has visited CSA before and liked what he heard. Here is a chance to learn from someone who is at the center of the song and artist development process. Jordan will be willing to work with artists or songs that he thinks have potential. This program is $5 for members, $10 for non-members. July 20-22 at the beautiful Gove Hill Retreat Center in Thetford, VT.
Come yourself or bring the whole family for an amazing weekend. The retreat is family-friendly, with lots of great attractions within a 30-minute radius. Presented all across the U.S. -- Now brought to your doorstep! A weekend of total immersion into the world of songwriting, in a beautiful rustic setting that is conducive to learning and creating new music. Good meals and 2 nights of comfortable lodging are all included, so you do not have to think about anything but your music. Conducted by Grammy-winner and author of "Songcrafters' Coloring Book", Bill Pere, named one of the Top 50 Innovators and Guiding Lights of the Music Industry"
The information and insight presented here was developed exclusively by Bill in more than 30 years of working with thousands of songwriters, including many of the top names in the industry and is not available anywhere else. You will not find more down-to-earth, practical, and well-researched information under any one roof. Tuesday July 10: 7:15pm, Wesleyan University, Middeltown. no-go? We will look at some actual examples of each. If you have a logo, bring it along and we'll discuss. If you don't have a logo and are looking for ideas, we'll help. Following the discussion we'll have an in-depth critique session. This meeting is free to members, $5 for non-members. SEPTEMBER 29: The Day Your Life Can Change! PRO-WORKSHOP with Internationally known creativity guru and author of 35 books, Dr. Eric Maisel. Having taught at top creativity institutes from Paris to Prague and across the U.S., Dr. Maisel is recognized as a world leader in creativity coaching. Don't miss this incredible opportunity. Full details in the newsletter! Sept 29, 1pm-5pm, Mystic Workshop Space, 40 Washington St, Mystic. The 8 Keys to Success in the Music Business, with in-depth critique session. 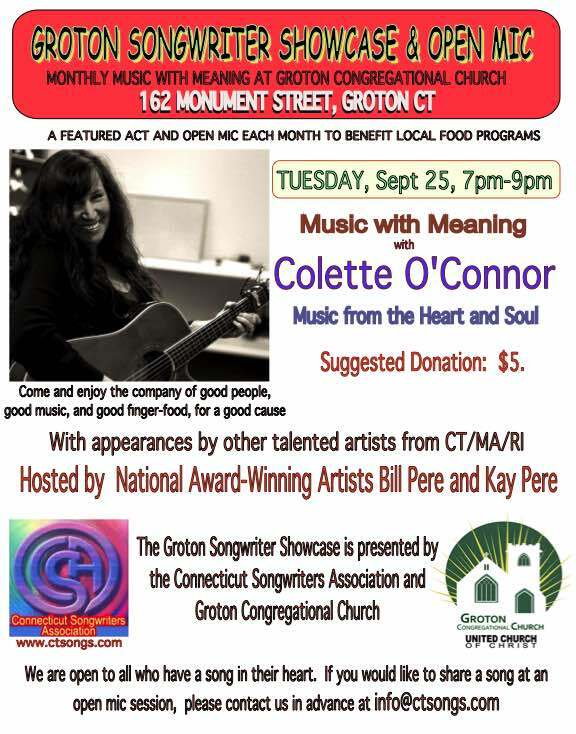 7pm - $20 pre-registration, $25 at the door (benefits MAC) Call 860.536.7601 x209. 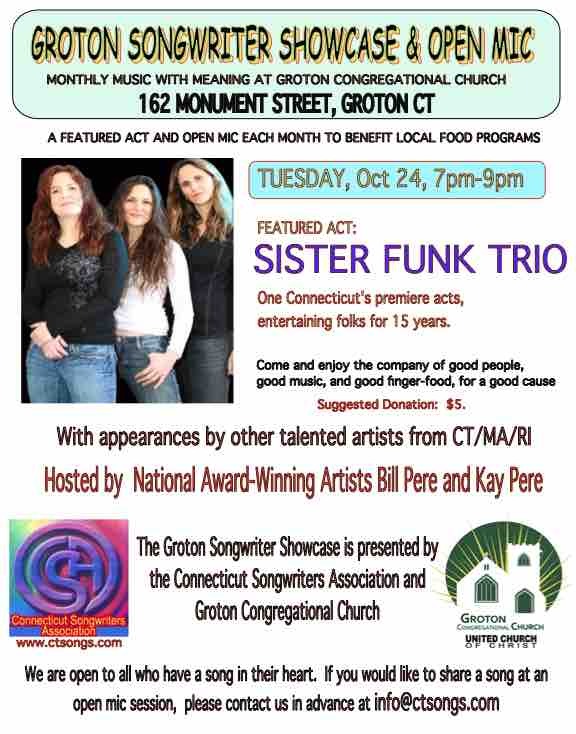 October 29: Mystic Arts Center, 9 Water St, Mystic. 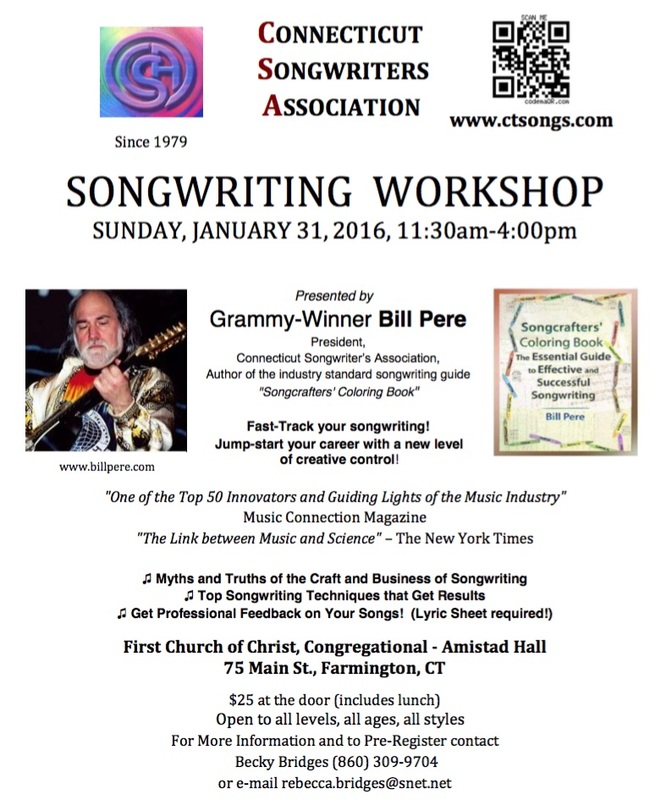 Bill Pere presents "Expression vs. Communication: The Essentials of Effective Songwriting" 7pn - $20 pre-register, $25 at the door (benefits MAC) Call 860.536.7601 x209. Paula is a key industry pro in the Indie music scene, and someone you definitely want to have on your side. Our special guest is Grammy-winner and winner of more than a dozen national awards, Les Julian. Les is a past President of CSA, and is one of the organizations' most successful members. Les is a great critiquer, and he collaborates with many other writers. Come learn first-hand how success can be achieved as an Indie artist. Bring a song for critique - any song is okay, but if you have a Holiday song, this is the perfect time. Begin the new year by becoming an involved member of CSA! Success comes from opportunity, and opportunity comes from involvement. The meeting is free for members, $5 for non-members. TWO IMPORTANT TOPICS: The Axe-Man and the Tax-Man, and How to Be Your Own Publisher: Bill Pere presents a workshop on tax issues for independent musicians. Bill has worked with independent artists for more than 20 years, helping to optimize tax strategies. The rules are always changing and even if you have someone else do your taxes, the results are only as good as the information you give them. Are you optimizing your tax strategies? Are you unable to market your music because you're unsure of how to handle the publishing? 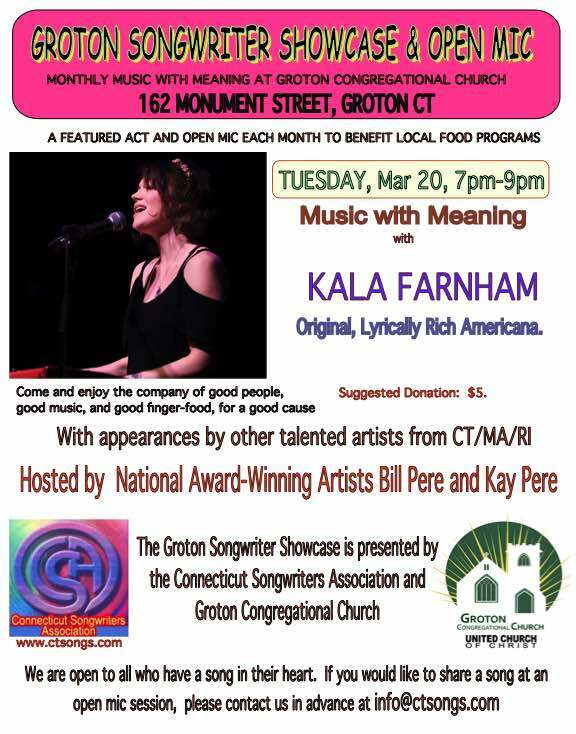 Come and learn about this important part of being a songwritier. -- Licensiong, Co-publishing, mechanicals, Sync, etc -- all made easy for you. This meeting is free to members, $5 for non-members. 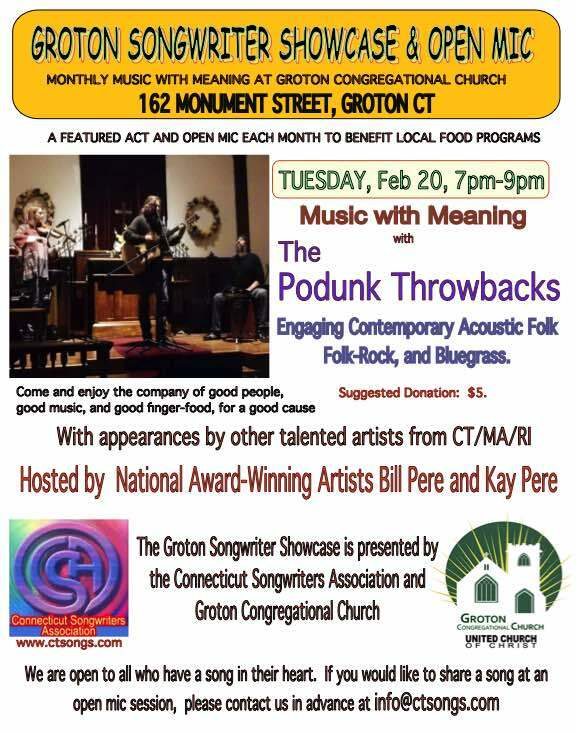 Our special guest from Massachusetts is music veteran Tommy Byrnes of Sovereignty Music Services. 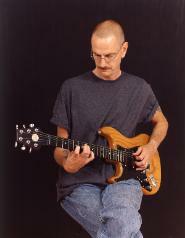 Tommy is an accomplished guitarist, arranger and producer. He conducts seminars on "Digital Recording and the Home Studio". 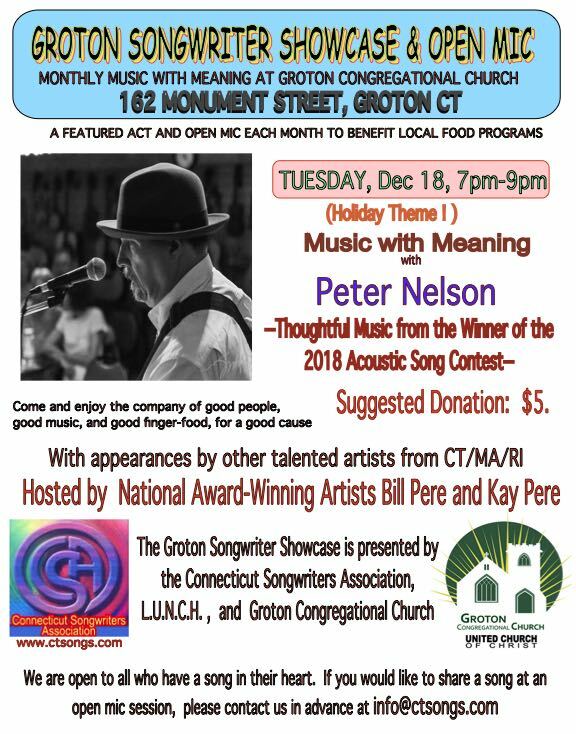 He has presented at conferences and colleges in New England, and has exceptional insights into the key issues facing songwriters seeking to record their own material, whether for demo or final release. His company also offers Music Instruction, Digital Recording and Engineering, Music Career Planning, Music Marketing Strategies, Press Kit Design, Band Logos and Graphics, Album Artwork and Layout. Tommy will speak about Digital Recording and the Home Studio. This meeting is $5 for members, $10 for non-members. APRIL 1-3: CSA SONGWRITING RETREAT! APRIL 1-3 -- CSA SONGWRITING RETREAT! 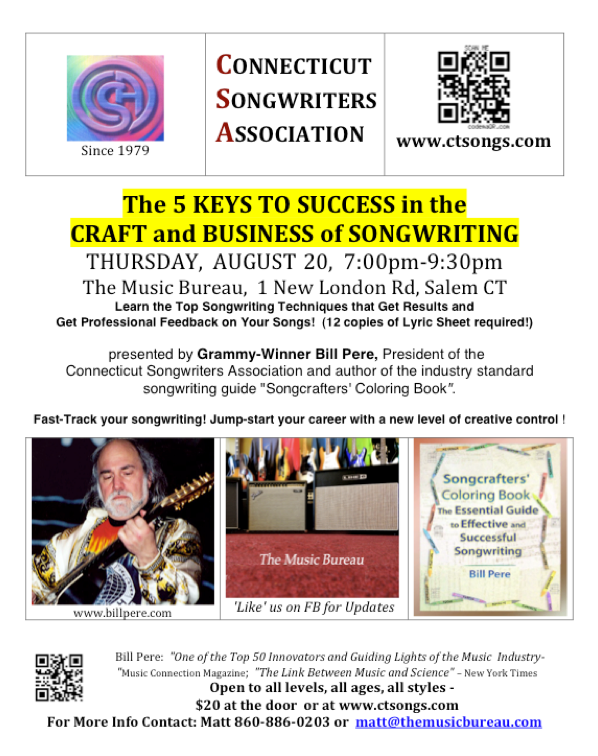 Conducted by author of "Songcrafters' Coloring Book", Bill Pere, named one of the Top 50 Innovators and Guiding Lights of the Music Industry" by Music Connection Magazine. All details for this unique event are in the Newsletter! Noel Ramos, publisher of Inteermixx Magazine, owner of Indiegate digital distribution portal, and Founder of the national Independent Music Conference, speaks about the new way to get funding for your projects that is empowering many independent artists: Crowdfunding! Sunday, June 19 1pm to 5pm -- CSA Summer Picnic and Showcase. J.B. Williams Park, Glastonbury. Bring food for the grill, a dish to share, and a non-alcoholic beverage. Performance slots all day Rain or Shine. Sound system provided. 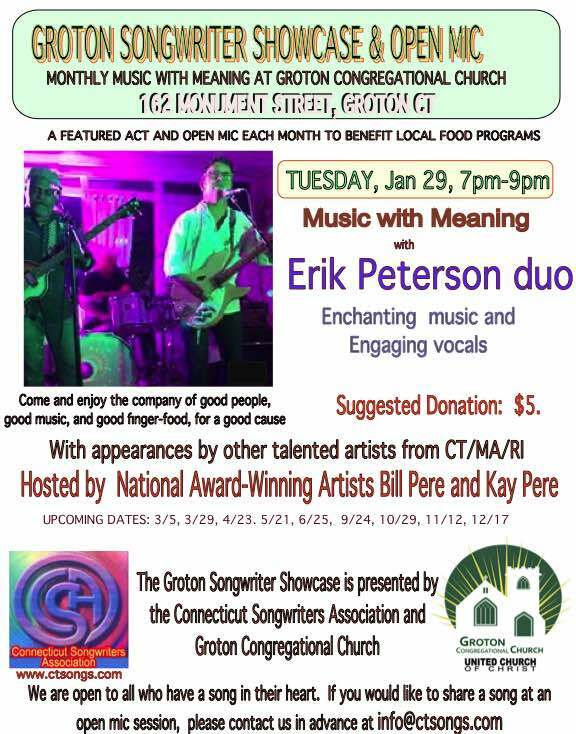 To sign up for a performance slot, contact Bill Pere. or Don Donegan. Meet new folks and old friends, and enjoy the day in the company of creative people. Multi-Enny Award Winner A.J. Gundell is our guest, speaking on how to get music placed in TV. AJ has written for many TV shows, and has a publishing and placement company. Get many years of CSA knowledge in just 3 days, in an incredibly beautiful setting with incredibly good food! A weekend of total immersion into the world of songwriting, in a beautiful rustic setting that is conducive to learning and creating new things. Great meals and 2 nights of comfortable lodging are all included, so you do not have to think about anything but your music. 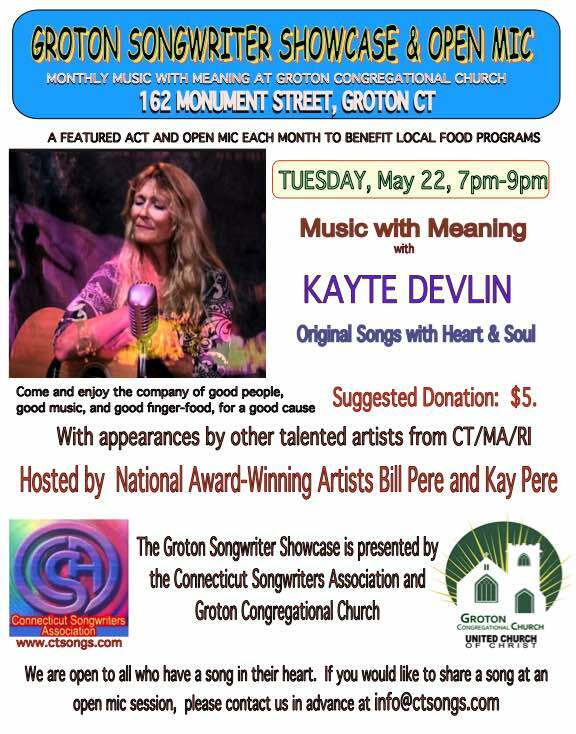 Conducted by author of "Songcrafters' Coloring Book", Bill Pere, named one of the Top 50 Innovators and Guiding Lights of the Music Industry" by Music Connection Magazine, and Kay Pere, nationally known voice and creativity coach. Sunday, August 28 -- 1pm to 5pm -- CSA Summer Picnic and Showcase. PROFESSIONAL SONG PITCHING SESSION! Get your best songs ready! 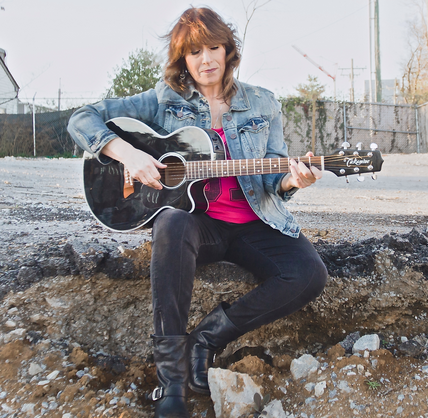 Nashville pro Janey Street has a proven track record of song placements. She will be on hand to listen to your songs, and if she thinks there is potential for film or TV placement, she will take your song and present it to her contacts. This is an exceptional opportunity to get your music directly to where things can happen. All songs presented will be critiqued. This meeting is $28 for members, $35 for non-members. Pre-Registration is highly recommended to guarantee that your song gets pitched. Get that in-depth Level-3 analysis of your song that you've always been wanting. This all-critique session will allow plenty of time to thoroughly discuss each song and provide the best possible constructive feedback from many perspectives. If there is time we might be able to do more than one song per person, so bring two. This meeting is free to members, $5 for non-members. 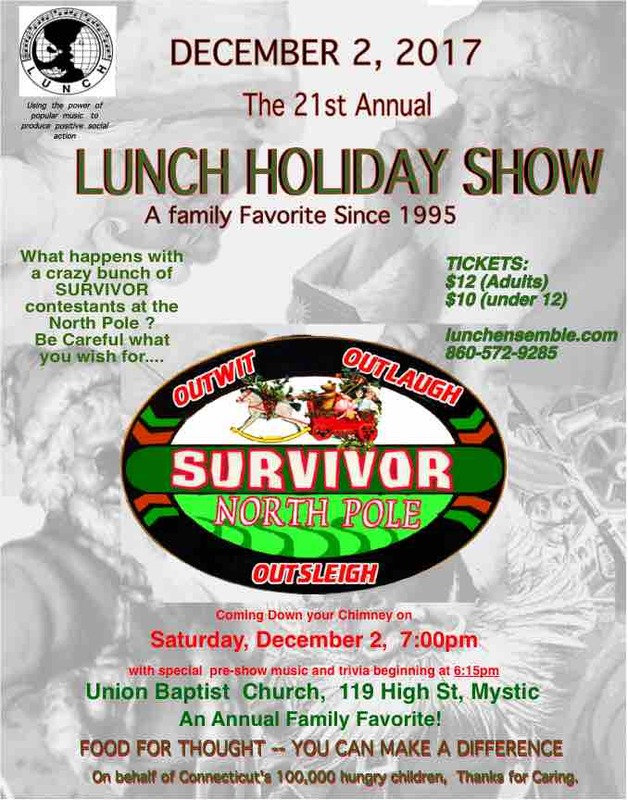 December 2011 Events --- Two events this month! Indie Artist and Past CSA President Kayte Devlin shares her experience and insights in navigating the creative and business mazes of the Indie world. 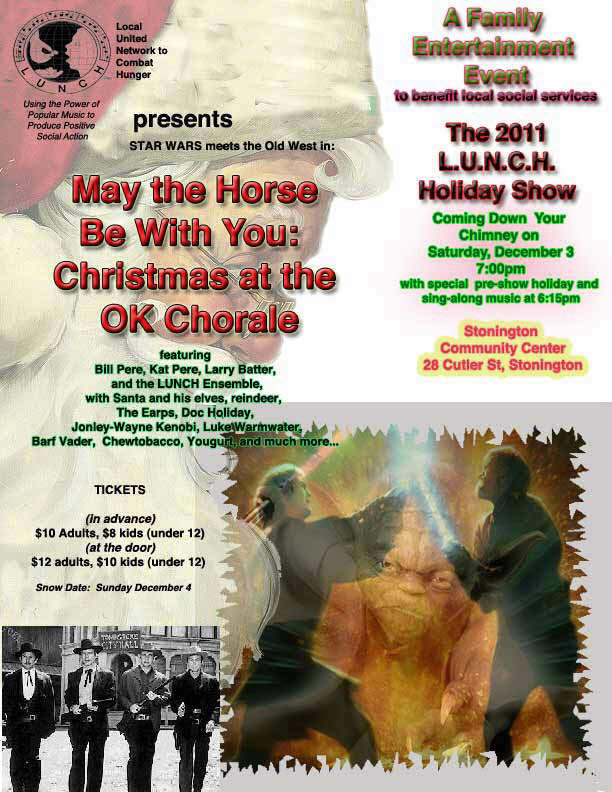 Star Wars meets the Old West in "May the Horse Be With You: Christmas at the OK Chorale"
through performances across the state. We teach Independent Artists how to do successful benefit events. 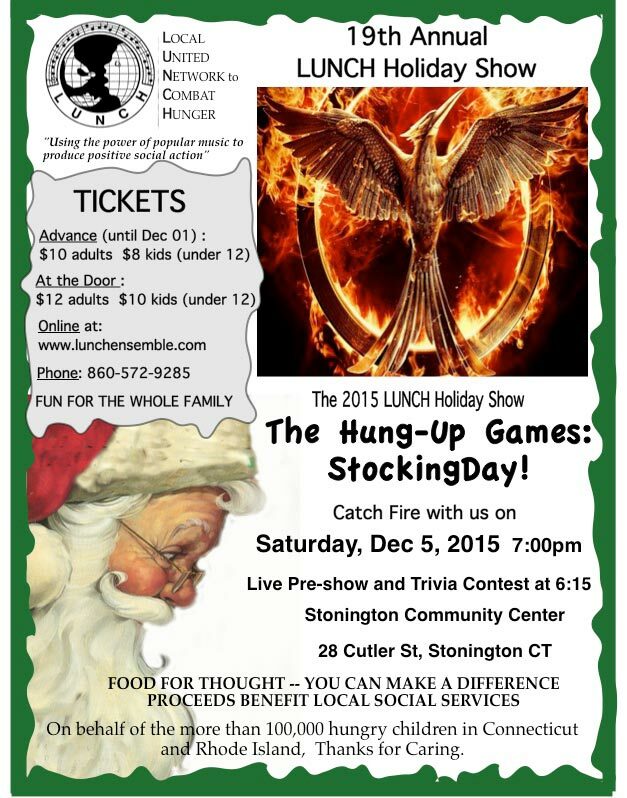 Saturday December 3, 7pm, at the Stonington Community Center.